Exclusively covering Corbett National Park, Corbett National Park Safari Tour is the best suitable not only for for wildlife enthusiasts but for anyone interested in wildlife or shedding the mounting stress of monotonous urban life. It would start from and end at Delhi. India Jungle Tours would arrange quality fooding/lodging facilities for all the customers. You can have a close look at the rarefied wildlife while riding on Jeep and elephant. You may have the close encounters with tiger, Gharials, Crocodiles besides a numberless animal species. Leave Delhi by coach/ car for Corbett which is 296 Kms. & 07 hrs. drive. On arrival transfer to Hotel. Evening is at leisure. Overnight at Hotel. Breakfast at hotel. Later Jeep Safari in Corbett National Park for tiger tracking. Drive along the Ramganga, to look for some fish-eating Gharial and Marsh Crocodiles. Later on arrive at Dhikala, where the natural setting will take your breath away. 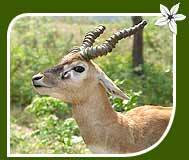 Have lunch and rest for while, enjoying the panoramic view of the grassland area and its abundant wildlife. The elephant ride from Dhikala provides the opportunity get a close view of the Himalayan wildlife. Jeep ride back to the hotel for overnight stay. Early morning elephant ride through the open Chaurs or grasslands and dense forests of Jim Corbett Park. Return back to the resort for breakfast and then again going for a jeep ride in the Ghairal area and into the awesome wilderness of the Corbett national park. Overnight at hotel. After breakfast leave Corbett National Park for Delhi, which is 296 kms, & 07 hrs drive. On arrival at Delhi tour ends.